Personalize any Birth Announcement design to match your baby's budding personality. 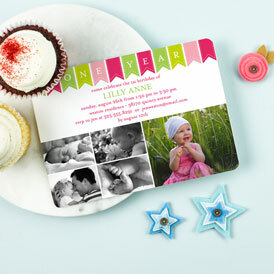 From one year of life to 20 years of love, celebrate the milestones with party invites. Get everyone excited to attend with a fun design, personalized by you! Life is full of many moments and milestones that pass in a blink of an eye. 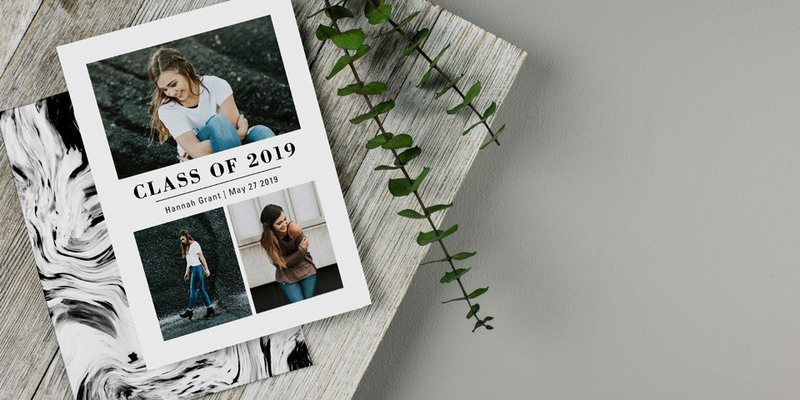 Whether it’s announcing a sweet new arrival or inviting guests to a fabulous wedding affair—​we make it easy for families and couples to savor those moments in the most perfect way with personalized invitations and announcements. From Baby Shower Invites and Birth Announcements to Quinceañera Invitations and Holiday Cards, our personalized stationery products help you share special life events with friends and family. Whether you’re inviting loved ones to celebrate or simply spreading your joy, we offer a variety of designs to match your unique message. Magnetic designs capture your milestone by turning it into a beautiful keepsake, while cards offer that classic, heartfelt touch. 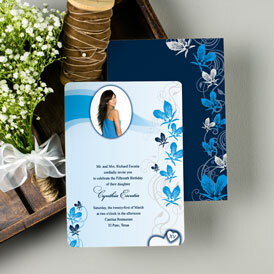 And as always, any design template can be personalized to match your unique celebration and personal style. Have fun and enjoy personalizing the perfect piece for your celebration!